Remember the supermarket? That foreign destination you keep meaning to visit but then don't, because things like delivery and Taco Bell and general laziness get in the way? Well, if Amazon has its way, some day soon you may never set foot in a supermarket again. 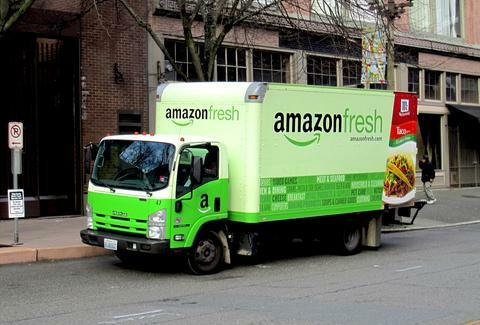 According to sources speaking to the Wall Street Journal, the mega-retailer, which already has a grocery-delivery service called AmazonFresh, plans to delve into the private-label grocery business with its own brand of milk, cereal, and baby food. Selling its own private label alongside name-brand groceries would allow the company to compete with other big retailers like Costco and Target, and essentially render supermarkets useless. Except for trying free samples, of course. The Journal notes that Amazon is allegedly speaking with private-label food manufacturers like TreeHouse Foods as partners on the venture. And really, what goes better with a 100-pack of batteries than Amazon-brand milk? Lucy Meilus is a staff writer for Thrillist and has never heard of a supermarket. Follow her on Twitter at @Lucymeilus and send news tips to news@thrillist.com.